I had a conversation recently with my dispatcher where he kept repeatedly using the word “trust.” It was a clear reference to the relationship we have with each other. The conversation started out with him apologizing to me for not getting in touch with me that morning concerning my back haul load. I told him it was no big deal to me, I already knew where I was supposed to pick up the load, so I just started driving that way, and since I was still about 300 miles away, I figured he would get with me whenever he had the time. I know he gets swamped on most days with problems his drivers are having, and I never concern myself if I can't get him on the phone. I just leave him a message and go on about taking care of my business. I know he will get back to me when he can. We have worked together enough to trust each other to be taking care of his share of the responsibilities we are working on. When a dispatcher has a driver that he can trust completely, it makes his job much less stressful. When a driver has a dispatcher that he trusts fully, it makes his job so much more productive. Trust is an integral part of the trucking business. Think about it. There are investors who are trusting these publicly traded trucking companies to take care of their business by keeping their operating ratios at a reasonable level, and producing an acceptable level of profit in a very challenging business environment. There are literally millions of consumers who are trusting those same companies to make sure that what they want to purchase at the supermarkets or in the shopping malls across the country are readily available on the shelves. 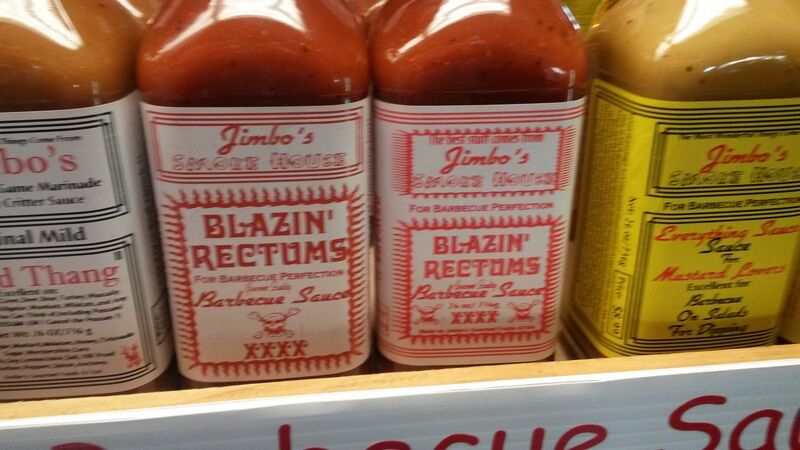 It's funny, but most people never really think about how their favorite can of baked beans ever makes it to the grocery store shelf. Some farmer planted those beans, harvested them in his fields, and then loaded them onto an eighteen wheeler to sell them (in bulk) in the market place. 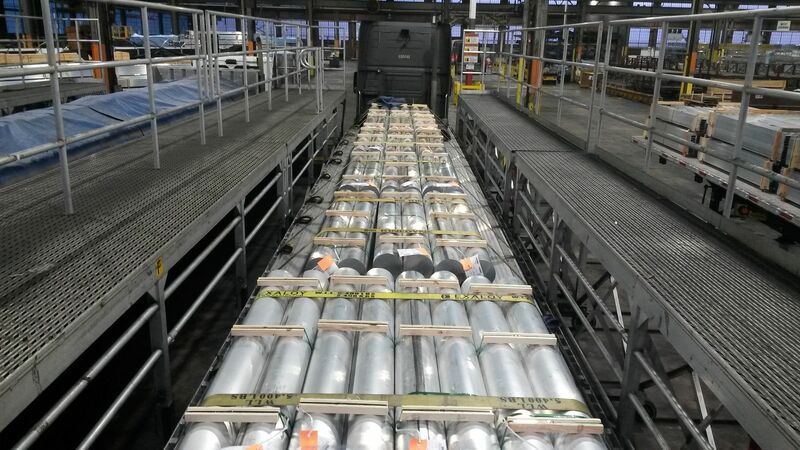 Someone else purchased them, had them put into another eighteen wheeler and shipped to a food manufacturer such as “Van Camps.” There they cooked them, processed them, and packed them into the cans that were delivered by an eighteen wheeler. 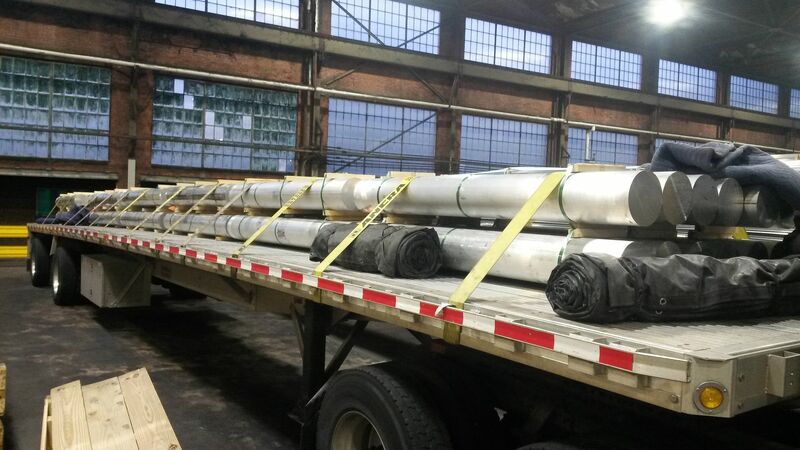 Oh yeah, and some flat-bed driver delivered some nice shiny coils of metal to that can manufacturing plant so that they could produce those food grade storage cans. I haven't even mentioned the distribution warehouse where the beans sat for a while after arriving there on an eighteen wheeler! Of course they left that warehouse on a big truck also. All of this takes place so that you can go to the store and purchase your favorite can of beans! There was a lot of trust taking place between many parties of people just to make sure that you and your kids could enjoy that seemingly insignificant little can of beans. The whole trucking business gets all clogged up when people can't seem to get done what they are simply expected to do. There are drivers who cause problems for their dispatchers. My dispatcher refers to them as “needy” drivers. They can't seem to get anything done without him having to give them advice or encouragement several times per day. Successful drivers create a bond of trust with their support team. A successful driver has his own motivation and drive. He gives it his all each and every day out here.We are people of action. Truck drivers are decisive, they are focused, they thrive on getting things accomplished. If we have three and a half days to get from Denver, CO over to Portland, Oregon, and then down to Los Angeles, CA in the dead of winter, the last thing on our mind is how much time we are going to have to enjoy ourselves doing something leisurely. We are going to bust our tail just to "git 'er done." We are not going to be wishing we could unionize ourselves and demand less stringent job requirements. We love getting things accomplished, and if that requires sacrifices such as driving all night for three nights in the snow, we gladly take that bull by the horns and conquer it. We don't give excuses. We don't back down. "I can't," or "this is too hard" is not part of our conversation. We are doers. We leave the dreamers far behind us with each new sunrise. We don't back down, we don't give up, we are our own driving force, full of motivation and willingness. We are never satisfied until we've gotten the present task before us accomplished. At that point we are already eager for the next challenge. If we've worked seventy hours, we're wishing we could just get in another 15 to cap off a really nice week. We push all the limits, we are eager to get more done this week than we did the last. We are goal oriented. We create trust with our support staff by consistently getting things accomplished. That's how we roll! I often write about the enjoyment I get from this trucking career. I really do enjoy my time on the road. I hope that those of you who read these things can tell how much I thrive on the challenges that this career offers. It is one solid adventure day after day. It has a new set of challenges that open up before you literally on a daily basis. It is not an easy career, which is evidenced by the many who try it and fail, and by the current yammering by the media about the ever increasing driver shortage. It really takes a special person to do this job. It has demanding schedules where we constantly flip flop our nights and days, and it has demanding hours where we generally work the equivalent of two full time jobs just to get it all accomplished. Then on top of all that we are having to work within a set of rules and regulations that are sometimes very awkward and cumbersome. They are designed for "public safety," but they often fall short of their goals and intentions. I love a good challenge, and trucking certainly provides that. I have been running all over the place here lately, but this week I got assigned back to one of my favorite runs. I ran a load up to Connecticut, and I am now being dispatched back to Louisiana on a deadhead run just so they can get me back in time to grab the next load back up to Connecticut. I am covering a lot of ground this week. It feels good, and it makes good money. My dispatcher called me a few weeks ago to congratulate me on being the top producer last month. I asked him about another driver in our fleet who is a lease/operator because I knew he had been burning up the roads also. He told me that the lease/operators are not on this list because they are independent contractors, and this list just included the company drivers. He then said, "Let me look up his mileage though, and I'll tell you how you guys compare." Here's what he had to say in response to his search, "Oh, I can't believe this. He beat you by six miles! But here's the kicker. His logs have red marks all over the place, and yours are perfectly clean! You are killing it!" What that means is that my friend is having to run illegally to keep up with me. It is very important that we understand how to manage our time and work our logs so that we are not breaking the law. I enjoy this job too much to risk it by damaging my reputation for safety and reliability. On my mind today is one of my favorite things about this job, and that is going home to be with my wife. I have discovered that absence truly does make the heart grow fonder. It is a great sacrifice to be separated from one another, but it is also a great joy to be reunited for a brief few days each month. I actually took a whole week off this month and it was thoroughly refreshing. My dispatcher never disturbs me when I am at home, and he always tells me, "You take as much time as you need. Just let me know when you are ready to get back to work." I always tell my wife to not schedule things around me. When I come home I want her to keep up with whatever things she has already scheduled. The timing of my comings and goings are never completely accurate, and I don't expect her to jump through hoops just because of my presence. It just so happened while I was at home she and our daughter Sarah had something planned where they were going to be gone all day, and I encouraged them to keep their commitment. I don't think I hardly got up off of our very comfortable couch that whole day. It sounds lazy, but it was actually pure pleasure just being home resting and taking in the sensory rewards that the familiar and secure surroundings of home provide. I got to see my friends from church, I took care of several medical appointments I had set for that week while I was at home, and we even got to have a very nice dinner at our house to celebrate Sarah's birthday. 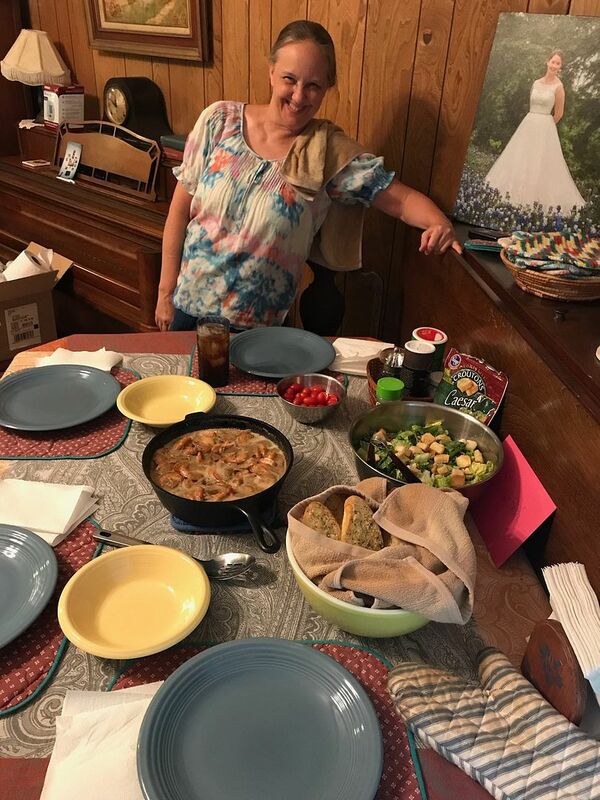 I love to cook, and I got to spend some time in our kitchen. There are few things more rewarding to me than preparing a nice meal for my family and/or friends. Here I am in the kitchen laboring over a new recipe I had found to be interesting. 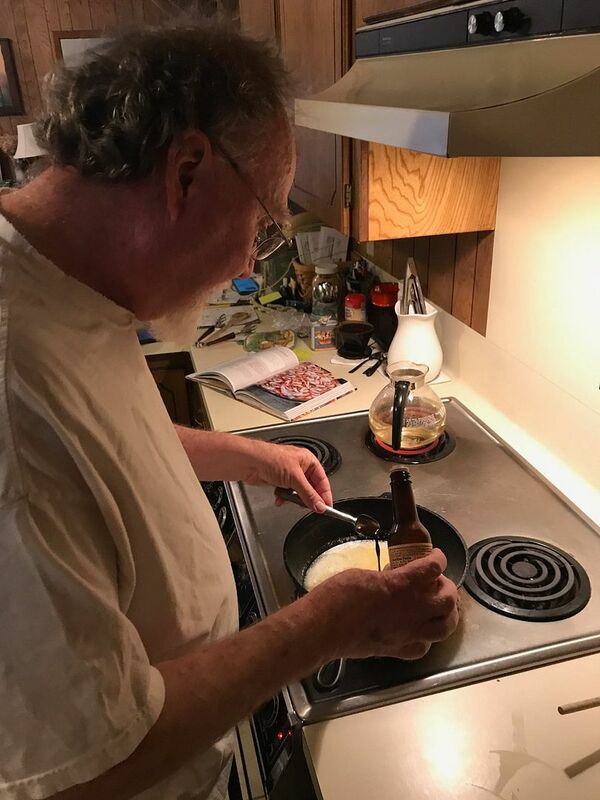 It was shrimp boiled in butter, broth, and beer with a custom blend of Cajun seasonings. We all enjoyed being together. 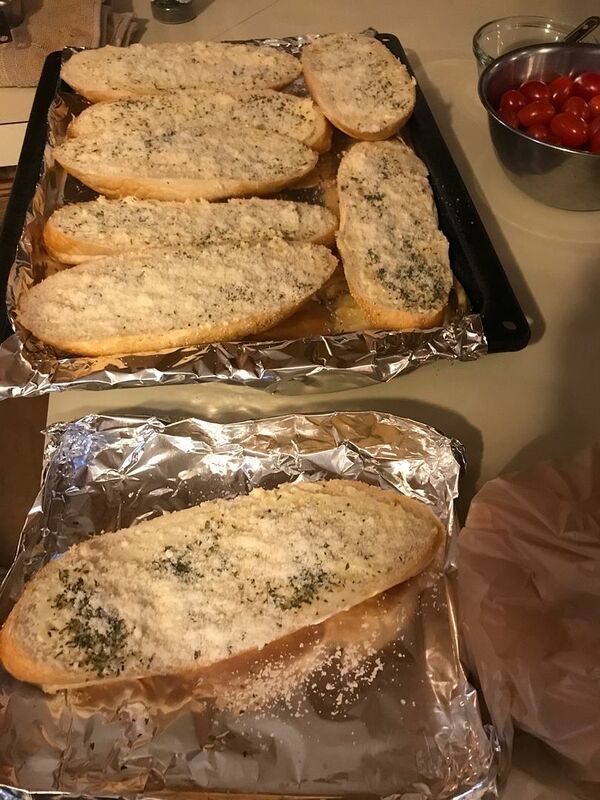 We had some fresh bread with garlic, butter, and Parmesan cheese. 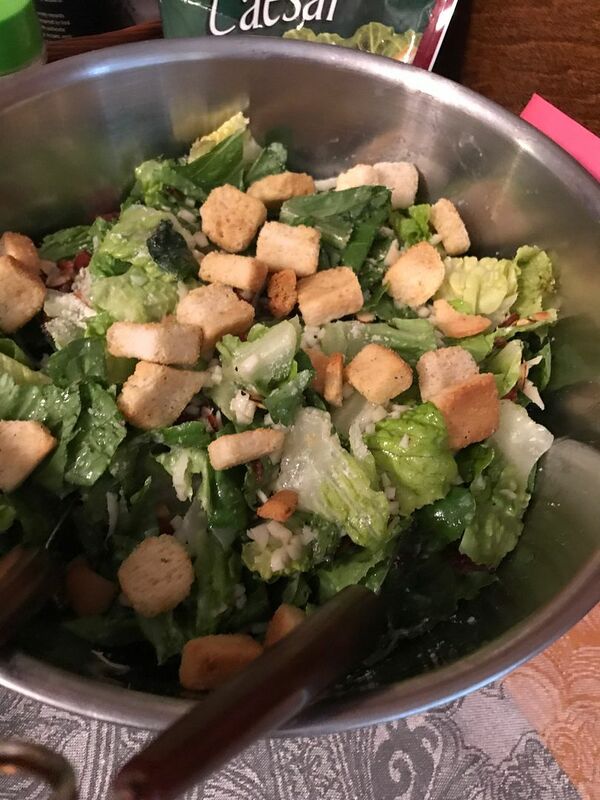 My lovely wife prepared us a wonderful Caesar Salad. It just doesn't get any better than this! Fresh Salad, Fresh Bread, a Steaming Hot Pot of Shrimp, a beautiful woman, and your children to share it all with! I had a great time at home with my family. We ate the shrimp right from the pot and dipped our bread into the spicy broth. It was all good. 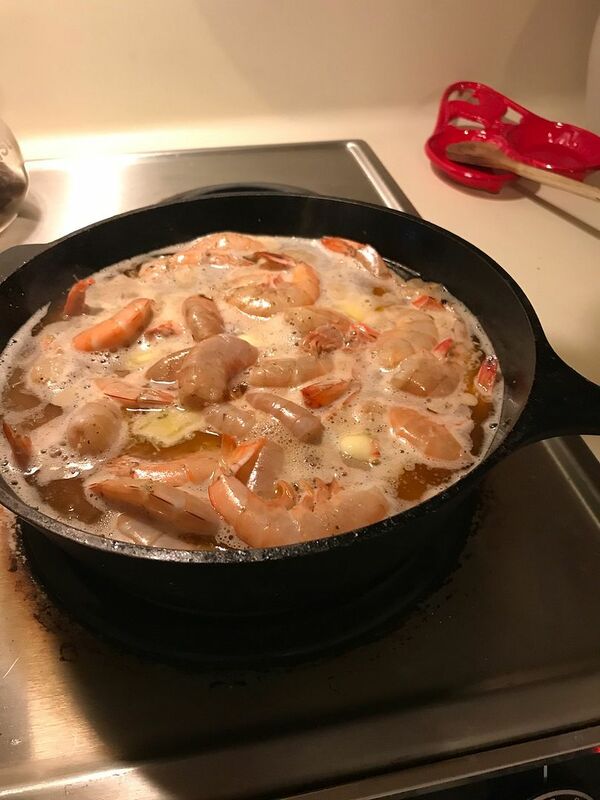 I think I prefer my traditional boiled shrimp which we cool before eating, but it is always fun to try some new culinary adventure. 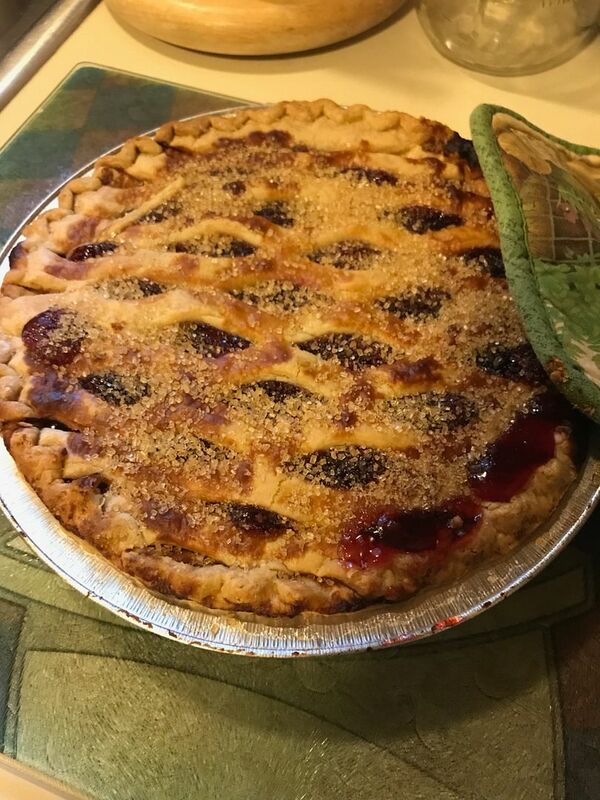 We finished it all off with the one thing that Sarah requested for her Birthday - a Cherry Pie! Oh man, I have got to stop posting this information. I'm wanting to go home again, and I am starting to get really hungry! This life on the road is very rewarding, but there is nothing that compares to the love and fellowship I enjoy with my wife and children. Going home is probably my favorite thing about this job. I love to provide for my family's needs, but even more enjoyable is being there with them and sharing the fond affection we all have for one another. A little more than a month ago my first grandchild came into the world screaming and crying for something to eat. During a brief conversation with my dispatcher I happened to mention it. 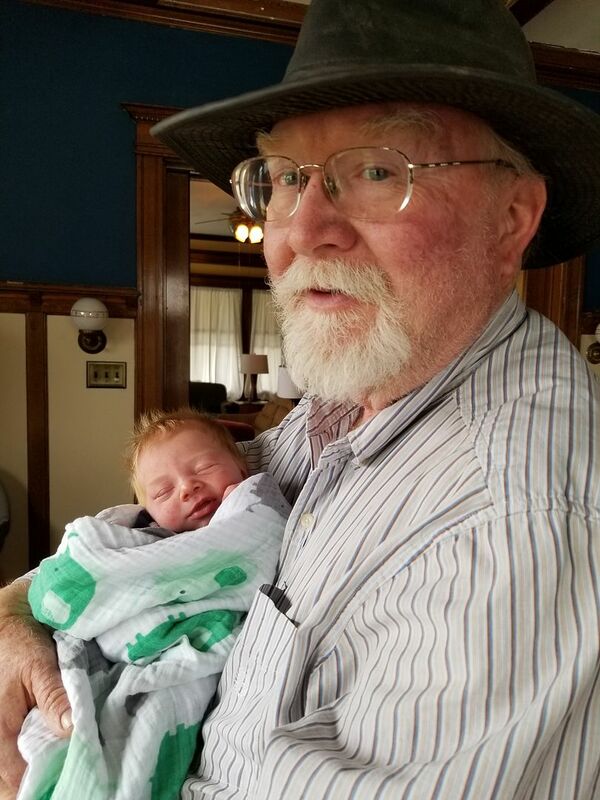 He asked me where my oldest daughter, the mother of this little grandson, lived. I told him Dayton, Ohio, and never thought about that conversation again. Just a few weeks ago I was in Miami, Florida and my dispatcher called to see when I would be finished with my current load. I was at my final stop and told him when I'd be back to our dedicated customer's plant in Louisiana. He said he had a loaded trailer sitting there waiting on me. What? It will be two days before I'm back. We never have loads sitting around like that. When they load a trailer, they want it on the road. I asked him, "What are they going to say about that load sitting there for two days before we move it out?" His response was, "That's my problem, not yours. I told them this load has your name all over it, and they are just going to have to wait until you can get here to get it on the road." I didn't even think to ask about the load, I just assumed it went up to the Northeast since I seem to be the only driver here who is willing to do those loads. To my surprise it was a load to Dayton, Ohio. My dispatcher told me to take a few days off up there and introduce myself to this new little guy. So... I emptied out in Dayton, and spent a three day weekend with my oldest daughter, her husband Andrew, and their new little baby boy, Timothy James. Oh, and there's a bonus - my wife was there too - she was there helping out the new Mom. That's how you make this career rewarding and enjoyable. You keep the team that's dispatching you happy, and they'll keep you happy. At times they even surprise you with an unexpected kindness. Mr. Levelheaded had grown weary of his dead-end job and dreamed of making his way into the rewarding career of a Professional Truck Driver. While he had some vague ideas of what the truck driving career might be like, his main motivation was his desire to be rewarded for his own personal results and accomplishments. You see, he was a hard working responsible individual, but had never been compensated any better than his fellow employees who only produced maybe half of what they were capable of. He found his current work environment to be so demoralizing that he saw no real reason to continue being productive and efficient. Slowly, yet progressively, he began conducting himself just like everyone else on the job. This action left him feeling more disillusioned and disappointed in himself, and those feelings weighed heavily on him. After some lengthy discussions with his wife and family concerning the idea of quitting his current job and going to truck driving school, they decided to give a one year commitment to testing the waters of this new career. Knowing how he struggled at work with feelings of guilt and disappointment over his willful lack of productivity, they felt he might find more satisfaction in a career that recognizes and rewards it's more productive members. So, with their blessing, he began making plans to set himself in a new career direction. Their hostility to his new career choice definitely took the wind out of his sails, but the chance of commandeering one of those big shiny rigs across the country still held enough appeal that he resolved to continue his pursuit of it. Little did he know, this would only be the first of many obstacles he would encounter on this new journey. Before he turned in his two weeks notice at his current job, he began to do some research about the truck driving career. The discouragement he felt from his parents was only multiplied as he searched online for information on truck driving. While looking into the career, he found websites that seemed completely devoted to making it clear just how bad trucking was, and that it should be avoided if at all possible. It really struck him as odd that these websites were all frequented by truck drivers, and the most discouraging and inflammatory remarks seemed to come from the truck drivers themselves. He thought about posing a few questions of his own in a couple of the forums that he came across, but was afraid he might be fiercely attacked and scorned for his stupidity and ignorance in asking such dumb questions. It was unsettling how the experienced truck drivers participating in the discussions had such disdain for their profession. They seemed to find a sort of twisted pleasure in letting the newbies know just how stupid they were for becoming “steering wheel holders” with nothing but a training certificate, and a shiny new license in their wallet. By carefully posing a question, then dodging for cover with a few snide remarks about “starter companies,” he managed to get a few questions answered without feeling he had completely blown his cover of being a total greenhorn. He felt discouraged when he learned the only companies who were willing to give the inexperienced drivers a shot were known as “bottom feeders” and “starter companies” among experienced drivers. From what his research kept turning up, most of these “starter companies” had no respect for their drivers. He saw repeatedly where these same companies were often accused of treating their drivers like slaves. His original impressions of the industry's demand for drivers had him thinking that recruiters would be knocking his door down with generously competitive offers for employment, but that scenario now seemed completely unrealistic. Despite the discouraging things he learned in his research, he determined that he was going to give this his best effort and see it through. The lure of the open road, and being able to make his own decisions and choices about how he conducted himself in the workplace only served to bolster his resolve. Against most of the advice he could find online, he decided to do his schooling through one of the Company Sponsored Training Programs he had read about. Not having the extra funds to pay for school, this appeared to him as his best option. He had endured many years at his present job while not really enjoying it, so he reasoned with himself that surely he could endure one short year as a truck driver. If it didn't work out, at least he would not be out any money for school, and he would have kept his commitment with the company who sponsored him, all while earning a paycheck to support his family during that time. Convincing himself that he had now overcome all the obstacles he could possibly encounter while getting this new career started, he spoke with a recruiter, and put the whole thing into motion. As soon as his final two weeks at his job had passed, his recruiter quickly provided a free ticket for a dismally long bus ride to the training facility. Shortly after finishing his bus ride, he discovered a whole new set of difficulties that he would ultimately need to conquer in this new quest. In an effort to minimize their expenses, this particular Company Sponsored Training Program housed their students, four to a room, in a local hotel. While this was a little uncomfortable at first, Mr. Levelheaded understood the economics of it, and did his best to fit in well with his roommates. After all, it was a very temporary situation, and it would just be a short week or two until each of them were off in a truck with his own trainer. At this point, he was really excited about the idea of getting out there on the road with a trainer and learning the finer things of truck driving. Mr. Naysayer: I'm convinced they're purposely setting us up for failure by making it very difficult to pass the written tests. They do this just to get rid of the kind of people they don't really want in their organization. I've heard reports of them sending people home after just a few days. I also heard they keep us in class for ten or twelve hours and then expect us to study at night in our room. Some students from the previous class told me there were questions on the tests they never even covered in the classroom. I'm telling you, it's all rigged just to weed us out and keep us from getting a job. I've even heard reports saying three fourths of us will be dismissed without getting the job they promised us when they put us on that bus. Mr. Levelheaded: I can't see why they would go to all the trouble of sending us here on the bus, and putting us up in this hotel if their only plan and purpose was to kick us out and send us back home. Mr. Naysayer: Send you back home! What are you talking about? They just kick you to the curb, and you've got to figure out your own way to get back home. I'm telling you man, these corporations are ruthless. If you don't fit the mold of who they want working for them, then it's hopeless. They will figure out how to can you and never give it a second thought. Did you notice all those homeless people hanging out around the bus station when you got off the bus? I can guarantee you that at least half of those people came here in hopes of landing a trucking job. Look at them now – they can't even afford a bus ticket home. Their cell phones got cut off while they were here going to school because they couldn't pay their bill, and now they have no way of contacting their families to let them know they need some help. They're out here begging for loose change now, just to try and get a little something to eat. Mr. Overconfidence: They aren't getting rid of me that quickly. I came here to get a job, and I guarantee I can pass any test they put to me. As long as they show us what to study, I can make sure that I pass that thing. I've been driving cars for a good many years, and it can't be all that different to drive a big truck – I mean the only difference is that it's bigger – right? I've driven all kinds of machinery over the years, including a combine in the wheat fields, and a back-hoe on construction projects. I've got this. Mr. Levelheaded: Now, wait just a minute. I've got my laptop here. Mr. Misinformed, could you show me some of those websites where you saw this information? I'm not trying to be skeptical, but I've been doing some research myself, and I haven't seen anything like what you're talking about. Mr. Misinformed: Well sure, I mean I could if I had my list of websites where I was doing my research, but I left it at home. I had them all written down on a piece of paper, but that was several months ago. I'm sorry, I just can't remember them anymore. Mr. Naysayer: Well, what you've said is enough for me to believe it. I mean if it's all over the internet like that, then it's got to be true. I knew it was kind of odd the way that recruiter got me signed up so quickly. I've never had anybody tripping all over themselves like that just to offer me a job. Now I know it's just because they're making a profit off of me. It's all coming clear to me now. It's not like me to be so gullible. I can't believe I signed up for this. I should have known it wouldn't work. Just at this point their conversation was interrupted abruptly by loud knocking on the door. When they opened it, they met one of their instructors, Mr. Sounds Like a Drill Sergeant, who quickly let them know they were expected in the lobby of the hotel at 5:30 a.m. He stressed the importance of being punctual, (with a heavy emphasis on the “p” sound) as there would be a bus waiting to shuttle them to the training facilities. With that, he turned on his heels and went to knock on the next door down the hall. After closing the door, the first to speak was Mr. Naysayer. Mr. Naysayer: Do any of you guys know what it means to be Punctual? Is that some way that we are supposed to dress or something? Mr. Levelheaded: No man, that just means that we need to be on time, and from the way he put it, I'm thinking it would be best for us to be just a few minutes early. Seeing it's already getting late, I'm thinking we should probably all hit the rack and get ourselves a decent night's rest. Mr. Overconfidence: Well, I've never had any problems getting up early. I'm going to turn on the television and watch the game. I've got a little money riding on this game, and I need to keep an eye on my team. I'll bed down after the game. Once the television was cranked up and the game was playing, Mr. Levelheaded and Mr. Naysayer got in their beds and made futile attempts at sleep while Mr. Overconfidence and Mr. Misinformed shouted and cheered at the game. At some point nearing one in the morning, everyone had settled into their beds and the room fell silent except for the rhythmic snoring coming from two of the room's sleeping occupants. That snoring was really the only sound heard until close to five in the morning when Mr. Levelheaded's alarm sounded long and loud. Somehow three of them managed to get downstairs in time to catch the shuttle bus, and to say that Mr. Sounds Like a Drill Sergeant was happy that he had to go drag Mr. Overconfidence out of bed would be very much an overstatement. In fact it would be more like a sick joke. He appeared to enjoy having one slacker give him the chance to show that he was serious about the way they were expected to do things. He shamed Mr. Overconfidence in front of the others, making it abundantly clear that he fully expected everyone to be on the same page by tomorrow morning. Later in the day, while taking a little break, they met a fellow student known as Mr. Never Do Well. He told them he was a little nervous about the drug testing. It seemed he had smoked a joint on the trip to the training facility during a layover at one of the bus stations. Feeling a little stressed about his parents forcing him to actually report to truck driving school and get a job, he thought smoking just one innocent joint might help him relax and enjoy the bus ride. He had no idea they would do the drug testing so quickly after he got there. Mistakenly he had been under the impression it would be a few months before they got around to the drug tests. At the end of that eleven hour day, Mr. Levelheaded returned to the hotel room, got out the materials they were supposed to study that night, and got right down to work. About the time he felt prepared and ready to retire for the evening, his roommates showed up and made a raucous group effort at half-way reviewing the materials, and quickly covered what they could before the movie they were wanting to watch got started. They were feeling quite confident and were convinced this was looking like it was going to be a lot easier than they had heard. They stayed up later than they should have in front of the television, while Mr. Levelheaded tried in vain to sleep with his head buried underneath his pillow. The alarm went off at close to five in the morning, and once again only three of them made it to the lobby in time to catch the shuttle. When Mr. Sounds Like a Drill Sergeant counted heads and realized who was missing, he allowed a sly little grin to appear on his face, but made no effort at rousing the offender this time. When the group returned to their hotel room after that second day, they had plenty to work on. They had been assigned several chapters of material which they would be tested on the very next morning, and Mr. Naysayer was going to need to cover that plus the material from the test that he had failed earlier that same day. They noticed Mr. Overconfidence was nowhere to be seen, and neither were his bags. They never saw him again. Mr. Levelheaded made a joke about him possibly joining the community of homeless persons hanging about at the bus station, but Mr. Naysayer said it wasn't funny. After failing that first test Mr. Naysayer's demeanor had turned more serious, and he seemed a little concerned that he might be hanging out at the bus station himself. Mr. Levelheaded: You know guys, I think we can do this. If we stick together and help each other like we did tonight, I think we can get past all these written tests and move on to getting our permits. At that point we can start driving those trucks. Then it will just be a few short weeks until we test out for our CDL. Mr. Misinformed: I don't know man, I noticed there were more people than just Mr. Overconfidence missing from class today. I'm not sure how many, but I am sure there were a few extra empty seats in there today. It seems that people are dropping like flies, and nobody's saying anything about where they are or why they are missing. Mr. Levelheaded: I guess I really didn't think about it, but now that you mention it there did seem to be a few more empty chairs in there today. I guess I was just kind of focused on the materials they were going over and taking some notes. Mr. Naysayer: Yeah, I'm with Mr. Misinformed, it seems like they're just setting us up for failure so they can get all that government money for bringing us to their school. Think about it, they get a big check from the government, and then they just figure out a way to keep from having to put us on the payroll. It's a big scam, and we're just pawns in their little game. They're going to get rid of us slowly and make it look like we just couldn't cut the mustard. I mean if they sent us all home on the first day of the week, the government would get suspicious about this whole thing, but if they keep sending home just a few people each day, it makes it look like they're serious about trying to help us get a job. Mr. Levelheaded: Come on guys, we don't even know if that business about the government paying them to train us is true. I've never heard of such a program except from you guys, and you still can't provide me any evidence to support your claims. Mr. Misinformed: Oh, it's true alright. It's all over the internet. Mr. Levelheaded: Look man, I've seen reports of three headed babies being born in Indonesia on the internet, but that doesn't mean it's true. Mr. Misinformed: What? Wait a minute, can you show me where you saw that? I love looking at stuff like that. Mr. Levelheaded: That's my point man, you will believe anything you see on a computer. You need to learn how to use your own head. Think about it. This company has been spending money on us just because they need some good drivers. They provided transportation to get here, they've been putting us up in this hotel, and they've handed out all kinds of study materials to us. They've even been feeding us pretty well while we're here on their dime. That doesn't look like a scam to me. I think they're doing this so they can find some good drivers. They're throwing out a large net in hopes they might catch a few decent guys and gals who will eventually develop into professional drivers. I'm going to stick with it until I see something that tells me differently. I think being a truck driver is going to be a pretty cool way to make a living, and If I can figure out how to be good at this it seems to have the potential to yield a pretty decent payday also. The three of them had one more noteworthy conversation together before they parted and went out on the road with their trainers. After that they just sort of lost contact with each other, and Mr. Levelheaded never really knew what became of his truck driving school companions. He hoped he had been helpful to them while together at school, but after their last conversation he just wasn't sure how they were going to fare. He knew what he wanted out of his new career and he was committed to making it happen. Listen in on their last conversation, and I think you'll understand why he wasn't real confident about their futures. Mr. Misinformed: Hey guys, I'm not too sure about this company we've been training with. I've discovered a bunch of YouTube videos that make it pretty clear that this is not the kind of place we want to be working. Mr. Levelheaded: Here you go again! You just can't make career decisions based on videos and comments posted online by random people that you have no way of validating or confirming as legitimate. Mr. Naysayer: I don't know why we need to confirm anything. You know what they say, “A picture is worth a thousand words.” When you've got the kind of evidence that Mr. Misinformed is digging up on the internet it makes it overwhelmingly obvious that this company does not care about their drivers. I mean he showed me one video where a guy claims our company refuses to let him take home time. They also refused to pay him detention pay on a load where he had to sit for twelve hours. What more evidence do we need? It seems these guys are only willing to help us get our licenses so they can then start taking advantage of us. Why else would they make us commit to staying here for one year? Mr. Levelheaded: Look guys, none of that really gives you any type of valuable information that is worth basing a career decision on. We don't know the particulars on that driver who is complaining. As far as we know he may be a total greenhorn rookie who forgot to send the proper macro in so that his detention pay gets processed correctly. Do you guys really think the company is not going to allow you to take your home time? 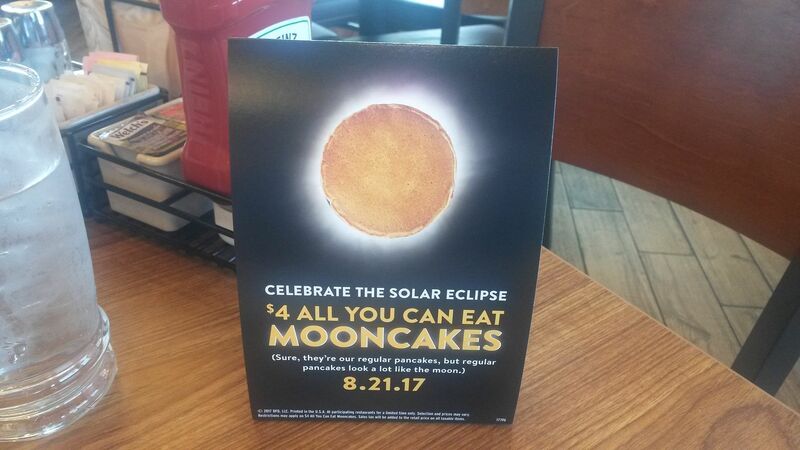 Do you think they would even have any employees left if that were true? There is just way too much useless information online for you to even think you can base your career decisions on it. Most of it seems to be from people who are trying to make YouTube and Facebook a platform for their own personal grudges and grievances. When we have 100 posts telling us that company X is great, and 100 posts declaring that the same company is so worthless we shouldn't just walk, but run away from it, then what have we learned? I say absolutely nothing! If you can explain to me how you decipher all that information and come up with an accurate assessment I'll begin to hear what you have to say. The information you're trying to base your decisions on is so contradictory it's useless. Mr. Misinformed: Well, what do you have to say about all these videos that show our company's trucks hitting low bridges and not even being able to back into a simple parking spot at a truck stop? Doesn't that show how poorly they're training new drivers? Mr. Levelheaded: How can you come to that conclusion? Just a few weeks ago you couldn't shift a big rig, or even come close to backing into a parking spot. Today you can do both of those things pretty well, and you are just a beginner. Don't you feel that your training has gone pretty well so far? They're still going to continue training you and will make sure that you're somewhat proficient before they turn you loose in your own truck. The reason you see so many videos on a company like this one is simple math. This is a very large company. They train more drivers in one month than many companies train all year. There's going to be a lot more opportunities to shoot a video catching one of their brand new rookie drivers making a mistake. Potentially they could even have a much smaller percentage of accidents in their fleet compared to the smaller companies, yet still have considerably more exposure on YouTube. It provides no realistic evidence of any fault on the company's part. It merely shows us they have a lot of drivers, and therefore a lot of exposure to the many liabilities that are common among all trucking companies. Mr. Naysayer: I wish you well Mr. Levelheaded. I'm glad we ended up rooming together. Because of your help, I honestly think I did better in truck driving school than I would have without you. But I simply cannot deny all the evidence online that you are so willing to ignore. I think I'm going to start looking for a new company right away. Mr. Levelheaded: What about the contract you signed with these guys? Aren't you going to honor that agreement? They provided you with a start to your new career, and now you're just going to bale on them? Mr. Misinformed: I found a guy online who says he quit during his first month and they never came after him. I mean this is a really large corporation with much bigger fish to fry than chasing me down for a few thousand bucks. They write off these types of things all the time, it's just another tax write-off for them. Mr. Naysayer: I'm with you man, I think now that we have our CDL we are in big demand. We should be able to have our choice of any trucking company we want to work for. There's a lot of companies out there that pay much better than these guys do. It seems to me that everything they do around here is calculated to make money off of us. Mr. Levelheaded: I can't believe the stuff I'm hearing from you guys! Here's a company that gave you a chance to start a new career, and once you got that silly license in your hip pocket, you all of a sudden became so important in your own eyes that you're not only going to turn your backs on them, but you're going to throw them under the bus as well. You can't be serious with me! I'm going to give my best efforts at learning this trade, and from what I've seen I'll still be learning how to be proficient at this even after my one year contract is fulfilled. There are no shortcuts to success at this stuff. It takes commitment, resolve, and a willingness to see things through. You guys are letting a bunch of internet knuckleheads that you don't know, and can't even confirm as legitimate, influence your career decisions simply because they're on the internet. There is no additional authority gained by a person just because they have posted a video or a comment online. They may be entertaining, they may even be amusing, but that doesn't give them any authority or influence that should have any effect on your decisions. You need to listen to people who have verifiable history and experience at trucking when trying to make important career decisions. I'm going to try and learn as much as I can from my trainer, then I'll learn from my experiences, my dispatcher, and my fellow drivers. I'm not going to allow the flood of questionable materials that I find online to easily influence me when I have access to people who I know are here to help me advance my new career. This company will provide me with additional training as I need or request it. From what I have seen, they seem committed to doing whatever is needed to keep good drivers on their team. Farewell my friends, I enjoyed going through school with you and also enjoyed our time together talking to each other in our hotel room. I wish you the best, but I hope you'll realize the value of sticking it out for your first year right here where you got your start. I'm convinced that you're going to be sorely disappointed if you follow your current ideas on how to get your trucking careers started. Mr. Misinformed can be found on his YouTube channel ranting about why he quit trucking after his first three months. It seems that one of his videos about refusing to allow his dispatcher to force him to drive while sleepy has gone viral. Even the ten hour break he admits to in the video didn't satisfy his need for sleep. His work on YouTube is now providing him with a small amount of money each month that will basically afford him a few groceries each week. It's a good thing he's got that miniscule income, because no trucking company wants to touch him these days. It's also nice and convenient that his Mom had some spare room in her basement where he could live rent free. Mr. Naysayer fell for his trainer's hype about leasing a truck and started right in as a Lease/Operator when he upgraded to solo. After seeing those huge paychecks his trainer was receiving, it seemed like only a fool would be a company driver. Reality slapped him almost into bankruptcy, and he quickly baled out of trucking altogether. He began attending a trade school to obtain his HVAC license about three months ago. He once thought if he had a Commercial Driver's License he could parlay that into a good income. After going broke as a truck driver, he is now convinced the real money is in Heating and Air Conditioning repair. Once again he is foolishly thinking it is the license itself that produces the income. Mr. Levelheaded is still going strong. He continues enjoying his new-found passion of driving big rigs. He's making good solid money and continuing to learn and develop ways of being more efficient at truck driving. He loves his new career and is discovering that he can make more money than the average driver just by hustling and getting more accomplished than his fellow employees. He's often been approached by his dispatcher about special things he can do which earn him extra money, and receives offers of special accounts that he can work on if he wants to. For now he's sticking with what he's doing and working on honing both his truck driving skills and his time management practices. He keeps his options open and hopes to one day find a special niche that will really work well for him here at the company that gave him his first shot at success. Are you familiar with Oscar Wilde's play, The Importance of Being Earnest? It was often referred to as "A Trivial Comedy For Serious People." I've considered it a very funny story for a long time now. I have for you a sort of funny story today, concerning the importance of being on time. Of course I think it is fairly obvious when you are in Trucking that you would want to be on time with your deliveries, but something that happened to me last week gives a great illustration into how it not only serves your customer's needs, but also helps to keep you moving along so that you are consistently making the most of your time out here. A Truck Driver gets paid for how much he gets done - he gets paid by the mile, not by the hour. So it isn't really important how much time you are on the job, but how efficient you are at moving your product along. Less efficiency in our case means less money at the end of the month. Sitting and waiting has a negative effect on your bottom line. You want to always make a practice of keeping yourself moving. It is up to you to learn the basics of how this works, and to put the practices into play that will enable you to keep things moving along. It is an all too common fallacy where the driver blames the company, or more specifically the dispatcher, for sitting around and waiting all the time. Sure, there are some bad dispatchers, but for the most part, if a driver understands the principles of success out here, his dispatcher will be able to keep him moving well, and making good money. Every trucking company wants their drivers busy and making money. That is the way the company makes money. If you are sitting around not getting much done, it is having a negative effect on the company's bottom line. Trucking is an asset based business. That simply means that they use their assets (their trucks) to produce revenue. The more assets they have, the more potential they have to produce revenue. If those assets are sitting idle, they are not being utilized to their best potential. One of the principles that a professional driver wants to always practice is being consistently on time. It is the driver's responsibility to keep that asset being productive. Okay, last week on a back haul load from Connecticut I was bound for Unicoi, Tennessee, a nice little town in the Smoky Mountains. If you follow along in here much, you may remember that I go to one of our customers there fairly often. They don't have a lot of room in their yard, and therefore do not allow any overnight parking. (at one time they did allow it, but have since stopped it) They set delivery appointments with you, and the way this works is that once you pick up a load for them, you are responsible to call them and set an appointment. They have a lot of deliveries coming both in and out of that place, and they pretty much set one appointment per hour for trucks that are coming to their facility. They ask that you not come early so that you are not sitting in their yard taking up space, and they certainly don't want you to come late, for the obvious reasons. You are expected to get there on time, or maybe only ten minutes ahead of schedule. You can see my loaded trailer there in the center of the photo, and along side of it are the safety rails that I can walk on as I'm tarping my load. Up at the top center of the photo is the rear of my grey Volvo tractor. It may not be real obvious to you, but there is literally about two inches clearance on each side of my trailer to get in and out of this situation. It is definitely a challenge when backing a 53 foot long trailer into one of these things, but once you've been at it for a while it just becomes a regular part of your day. 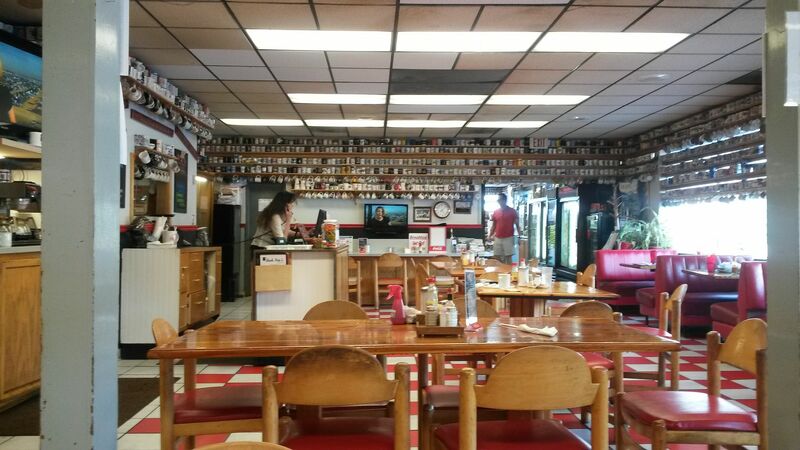 So, I spoke with the folks at IMC in Unicoi and we agreed on an appointment at 0900 (nine a.m.) on a Friday morning. They warned me "if you are going to be late, you need to call us and give us a heads up." Everything went well for me and after making the 525 mile trip, I arrived at their driveway exactly at 0900. Their driveway goes down hill and makes a turn down into basically a big hole where their factory sits, and the yard is full of piled up aluminum product waiting to be dealt with in some form or another. As I was descending the drive, another flat-bed driver from TMC is pulling in behind me. I can see the door that we back into is open and there is no truck inside, so I am quickly assuming the driver behind me is either early or late, and I make a wide swing around in the yard so that I'm blocking the fellow behind me from muscling his way into position ahead of me at the door. This was a crucial move on my part, and part of why I wanted to share this bizarre story with you. By doing what I did, I had effectively blocked the other driver from the door, and it also allowed me to start backing up to the door. He had to wait in the driveway until I was backed up to the door, then he could proceed on down into the yard. I got out of my truck, and immediately started getting my bungees off of my tarps so that I could get un-tarped and ready to back in and get unloaded. Remember, I am here exactly at my appointment time. The other driver parks and jumps out of his truck with paper work in hand, and goes right into the building to get checked in ahead of me. This apparently was his first time here, and he wrongly assumed that they would let him in first if he checked in first. I am right outside the door folding my tarps, and I can hear the frustrated receiving clerk arguing with the driver who is trying to make his case that he should be allowed to get unloaded before me. His appointment was at 0800 - he is one hour late! I can hear the clerk telling him, "We told you to call us if you are running late. This conversation is the first thing we have heard from you today. I am sorry, but this guy here has beat you to the door, and I am not going to put him off - he is on time." I'll spare you the details of the cussing and swearing from the "late" driver that was coming from inside the doorway of the building, but needless to say he was not helping his case at all. I was busily working away just outside, knowing all along that he was going to have to walk right past me as he exited the building to "sit and wait" in his truck. I'll tell you that I am a very easy going person, who has learned a great deal through the years about human nature. I have observed it in people, and more pointedly in myself, so that I consider myself to be very well versed in our faults as humans. I try and not let people bother me too much, because I am usually already prepared for how they may react in certain situations. This driver caught me just a little off guard though when he walked out the door. As he was passing by me, down on my knees, busily rolling up my first section of tarp, he asked me this pointed question, "Do those people over at SAPA pay you extra for acting like such an (expletive inserted here) out here?" Well at first the hair kind of started standing up on my neck, but I quickly put that feeling down, and slowly looked up at him with a disarming grin, and said, "Yes sir they do, and TMC will do the same thing for you when you start making your appointments on time." You see, he was trying to dump his frustrations over his own shortcomings onto me and make me feel guilty - that is human nature. People do this type of thing all the time to relieve their own conscience of guilt. I just put it right back on him where it belonged in the first place - he was the one who was late after all! I kept myself moving that day by being on time - it is important to be on time. Now, here's the kicker to the story... As I was leaving at just about ten o'clock, the next truck driver who had an appointment at ten was pulling into the drive. Guess who got unloaded next? If you guessed the driver who had the ten o'clock appointment, then you get a gold star! The driver who had the first appointment of the day was still sitting in his truck getting madder and madder as I left and went on my way to earning more money that day. "Be As Shrewd As Snakes And As Innocent As Doves"
The title for this post is the New International Version's rendering of Jesus's words in Matthew 10:16. Forgive me for taking that masterfully crafted phrase from scripture and applying it to truck driving, but a series of events took place on a recent load which somehow brought them to my mind. More on that in a few minutes, first let me apologize to those few people who are following along in here. I have been really busy, and I have neglected this poor blog. I have much to share with you, but I'm hoping I don't overload you. I was asked to rescue a load that had been abandoned by another driver during the week of the eclipse. It seems the other driver fell out of his truck, and was now sitting at home on workman's comp. I think I have shared this in here before, but falling out of the truck is one of the most common injurious accidents that happens to truck drivers. This driver has been a "problem child" according to my dispatcher, and even though he came over to our fleet as an experienced driver, my dispatcher told me that he has yet to deliver a load on time during the first three weeks of his tenure with us. Just prior to this accident, my dispatcher had requested permission to fire the driver, but the terminal manager said to give the guy some more time to prove himself. So now he is recovering at home, and getting paid for it while I am out here trying to straighten out the mess that he left me to deal with. I added three more straps to that section, and three more to the rest of the load just to get it safe, but I still have the problem in that front section of the bundle at the bottom that has already failed. When I take the straps off of that front section it is likely to fall right off the truck, and possibly onto me! 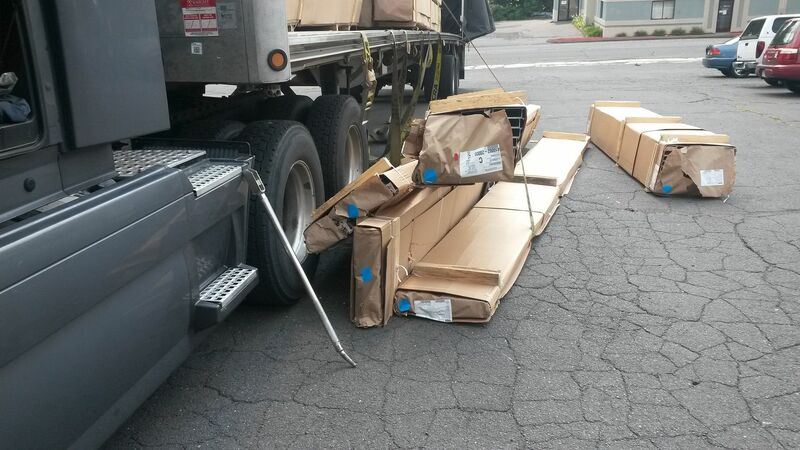 One of the issues with these multi-stop flat-bed loads is that you have got to remove and replace the straps at the various stops along the way so that folks can unload their freight from the top, and then you re-secure what is underneath it. This load really should have also had what we call some belly straps on it, but that should have been done while it was being loaded. There is no way to do it now, and to be honest with you, the load is not technically legal the way it is done. A "belly strap" is just a strap that you would put across the load once you have stacked it three pieces high. That way the driver can take off the straps over the whole load, and the lower section will remain secure while the material off of the top is being removed. I was able to sort of winch the load over a little bit with my straps and winches just enough so that I was able to open and close the Conestoga cover with only a small amount of pry bar work. Here is what happened when I removed the straps at my first stop in Connecticut, a machine shop called "Reed and Stefanow." I've always thought that name sounded more like a Law Firm than a machine shop, but I digress. As you can see I had to make a run for my life when I loosened the final strap from that section of freight. It immediately came crashing down! Thankfully the fork lift operator helped me to get it re-stacked and I was able to keep it moving onto it's final destination where they didn't seem to be too concerned after I told them it had already fallen off the truck, but I put it back on so I could deliver it to them. They didn't even put anything down on my paper work about it possibly being damaged! The back haul load I had after running this wonky jonked load up into Connecticut was interesting and educational for the folks who want to learn the secrets of success out here on the road. The back haul loads for this dedicated account are not set up by my regular dispatcher. There is a group of folks (planners) in the corporate office in Phoenix that are dedicated to finding us back haul loads. These planners don't really take into consideration some of the many things that can go wrong out here, and they have typically already set my appointments long before I even have gotten the load info. That can be a good thing, because they don't really allow you much wiggle room, and that way you are constantly turning the big miles. You really don't want to let them down, or else you start sitting longer and waiting for loads. That is not their fault, they only have your track record to go by when assigning loads to drivers. So here's how this one played out. My first stop is in Cressona, PA, where I am supposed to have a pre-loaded trailer waiting on me. Surprise! It wasn't ready. I got a ten hour break in while waiting here at this stop, and by the time they did get my load ready to go I needed to run the five hundred and twenty five miles to my fuel stop location and then take my next ten hour break there before proceeding to the customer for unloading. This fuel stop location is 30 to 40 minutes away from my next stop, which is a customer that I have visited before, so I know that they don't allow over night parking on the premises. It is 2200 (10:00 p.m.) when I am able to put my logs onto the sleeper berth line at my fuel stop. My appointment in the morning is at 0900. After running the 525 miles and stopping at my fuel stop for my break I am 45 minutes away from the customer, so I am going to sleep here and then roll out in the morning. There are several real problems with all this. My second stop for the day is 115 miles away and my appointment there is at 1100 and they stop receiving at noon. That is a problem. I can just barely make the 0900 appointment if I spend ten hours in the sleeper, and even though I can do that, there will be a minimum of an hour before they are done unloading me with those slow overhead cranes they use at this particular location. It is going to be impossible to make the second appointment! So... what are you to do? I have got to get unloaded early at that first stop for the day if I even have a prayer of making it to the second stop in time to get unloaded on the same day. I have been three years on this account without one service failure, and I am not about to get one now just because one of my stops was late in having my pre-loaded trailer ready to go. Here is where my knowledge of the Log Book Rules saved my bacon on this load. I can finesse a split sleeper berth maneuver into this scenario and make everything look like it was a piece of cake! Here's how it worked. I logged myself on duty after eight hours in the sleeper and I had almost two hours on my eleven hour clock and just a little more on my 14 hour clock. Bingo, I can roll over to my customer after logging my fifteen minute pre-trip inspection and I get there at 0645. Hey, wait just a minute! There are two other flat-bed trucks ahead of me. There's a Montgomery driver sitting at the gate, and a Melton driver right behind him. I am third in line - Oh Boy, not what I was planning on. Seven o'clock gets here and they open the gate. The Montgomery driver rolls in, and I go ahead and get out of my truck to walk in and check in with them. The fellow inside tells me I will have to wait for the other two guys ahead of me, and I say, "I understand that, but is it okay for me to go ahead and pull in the gate and start getting my straps loose and my Conestoga ready?" "Yes sir, by all means," is his reply. As I'm walking back to my truck I can see that the Melton driver hasn't budged yet, so I go over to his door to let him know that he can go ahead and roll on in. The truth is that I am trying to move every thing along so that I can get myself unloaded quicker. What I find upon getting to his door is that he has his curtains drawn shut and he is oblivious to what is going on out here. This business is very competitive, but you don't have to wake up your competition, fix them a nice breakfast and tell them it's time to pull on your boots and get to work. No sir, out here if you snooze you lose! I rolled right on around that guy and got myself inside the gate, and parked behind the Montgomery driver. 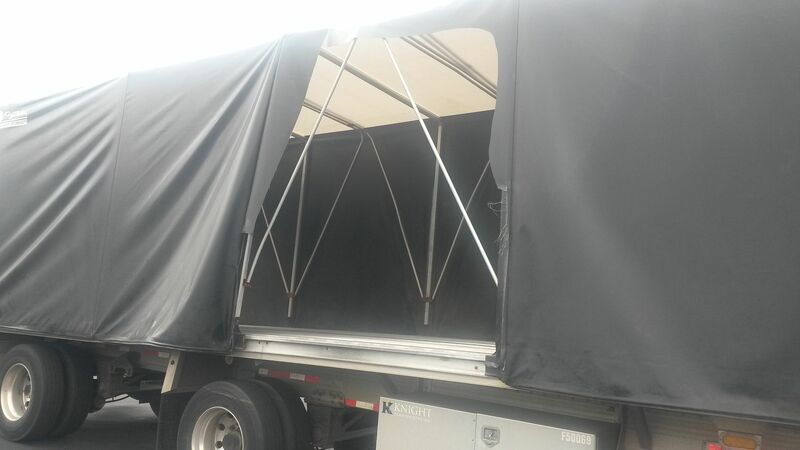 I had my Conestoga cover loosened up and ready to open, and all my straps loose before the Montgomery driver had even finished getting the bungees off his tarps. So, in order to keep things moving along, I went right over and started helping him get his tarps off and folded. Once we had his tarps folded, I headed back to my truck as he profusely thanked me for my help and I sat down to wait my turn. About ten minutes later the Montgomery driver comes over to my door, dragging a strap that he is rolling up, and asks me, "Sir are you waiting on me to get inside the building?" "Yes sir, I am," I reply. To which he says, "Well you go on ahead of me, I sure do appreciate you helping me, and I still have forty five minutes worth of work to do before I will be ready to go inside. It looks like you and that fancy roller system of yours are ready to go." It is at this point that I start thinking about that phrase in the Bible that I titled this with. I shrewdly used the rules to get in here early, then I had to be a little shrewd to get past old "Sleepyhead" at the gate, and I was innocently helpful with the Montgomery driver, who kindly allowed me to go on in and get started on the unloading process. After I got inside the building and they were almost finished unloading me, the Melton driver came to consciousness and looked bewildered that I, the third driver in line, was the first one out of that place! When they got done with me and I had everything put away and ready to roll, I had been on the sleeper berth (Waiting to be unloaded) for one hour and fifty nine minutes! One more minute and my two hours was up, and Bingo - I now have 10.5 hours on my clock. I made it to my next appointment ten minutes ahead of schedule, and then had plenty of drive time to keep running after they finished me up. I share these stories of success with you in the hopes that for those of you who are aspiring truck drivers, a light bulb will go off as you read them. I was recently both humbled and happy to see where one of the Moderators at TruckingTruth.com, Rainy D, gave me the credit for much of her success, and attributed her ability to manage her time efficiently by reading and learning from the things that I share. I spend a lot of time in the forum at TruckingTruth.com trying to help newcomers to the industry cleanse their brains of the garbage they have learned from their online research into the trucking career. Unfortunately there is a voluminous cache of seemingly irrefutable misinformation out there on how to succeed at trucking, and it is disheartening how much of it comes from truckers themselves. Seemingly everyday we have some new person in the forum talking about how they want to start with "such and such" a company because they have got lots of miles, or they would never recommend "such and such" a company because they just don't have the miles. Here's an example... Just yesterday we had a person who was in training at C.R. England talking about how the company just doesn't care about their drivers, are using them as cheap labor, and then starving them out once they become solo drivers so that they can just keep on extorting productivity from the next gullible batch of students coming in on the next bus, or some such familiar line of garbage that you could hear on any given day in any driver's lounge. I mean, these are truck drivers themselves who say such nonsense, and vocally agree with it each time they hear this junk vomited out again and again. Then you have the reality of this whole career, willfully ignored by the truck driving masses, where the guys who understand how this all works are out there reaching Million Mile Status at the same companies who are slandered all over the internet from the very misguided, non-productive, willfully ignorant truck driving crowd. Here's a small example from my current week that makes a great example of how the top tier guys and gals take the high road to make all this stuff come together, while others are willingly content to sit and complain. I started the week with a tough assignment. Without boring you with all the details, I had a load that really had about two extra days worth of time on it. Basically it was a 1,500 mile run with five days to get it done. The reasons for the extra days were because it had six stops on it and they were spread apart at just the right distances to make it real tricky due to the unusual receiving hours at the different customers. By making contact with each customer, and successfully getting two of them to receive me considerably past their normal receiving hours, I got it done in three days! Hoo-Ray, sounds great doesn't it? Not so fast. My effective communications helped me get that one done early, but they also created a new problem for me. 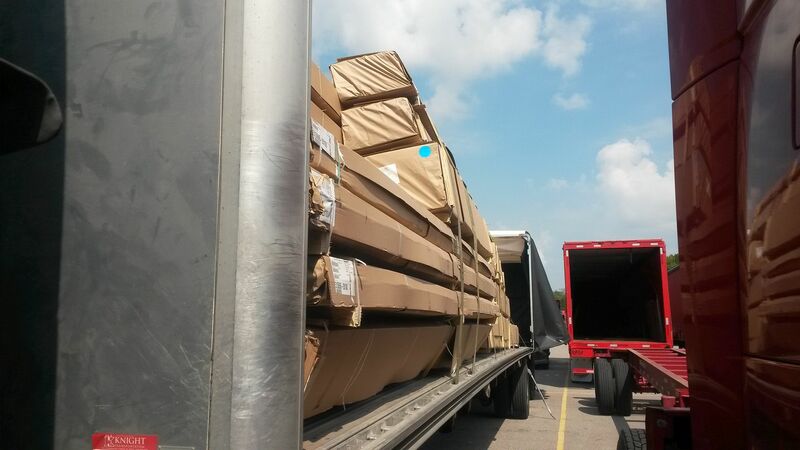 My next load which was pre-planned already as a pre-loaded trailer at the SAPA plant in Cressona, Pennsylvania, was not scheduled to be loaded for almost 30 hours after I arrived there. I don't want or need a 34 hour re-set, I want to keep up this good momentum. I have sat and listened to drivers just giving their dispatchers grief over this type of stuff repeatedly. I still remember my trainer just yelling and screaming at our dispatcher about delays like this and threatening him that he (the driver) was going to fire him (the dispatcher), as if he (the driver) were the boss in this working relationship! That is not the way to success out here. A great driver will get things accomplished by quietly getting things done because he understands the subtleties of the problems that dispatchers and planners deal with. Logistics is not a clear cut science. Load planners and dispatchers are trying to keep a lot of plates in the air all at the same time. Sometimes the driver feels the effect of that juggling act in the way he is dispatched. So, here's is what I did as soon as I got to Cressona, PA. I sent in my arrival call, and then I sent in my "detention is likely" call. That way I will get paid detention for my time of waiting - even if I am off duty for 34 hours. That is good effective communication, but it is not the way to make the top money out here. I do not like to settle for detention pay. Productivity is the way to success out here. So, my next step is to send the following "free form" message to my dispatcher on the Quallcomm: "Hey, I am here at Cressona, but my load isn't scheduled to be ready for another 30 hours. I am not in need of a re-set, and I am willing to do something else during the wait here. Could you please check with the planners and see if maybe there is a little short haul out of here that we could do while we are waiting, or maybe some shuttle work of some sort? I'd much rather be getting something accomplished over taking a long nap!" His immediate response is, "10-4, I'm shooting them an e-mail right now - I'll let you know something as soon as they respond." Here is the magical part of this whole scenario: I'm not stressed, or upset about anything. I know how to get things done, and I have taken all the right steps here. I am in total control here. It is either going to work out or not, but I have effectively covered my bases for success. 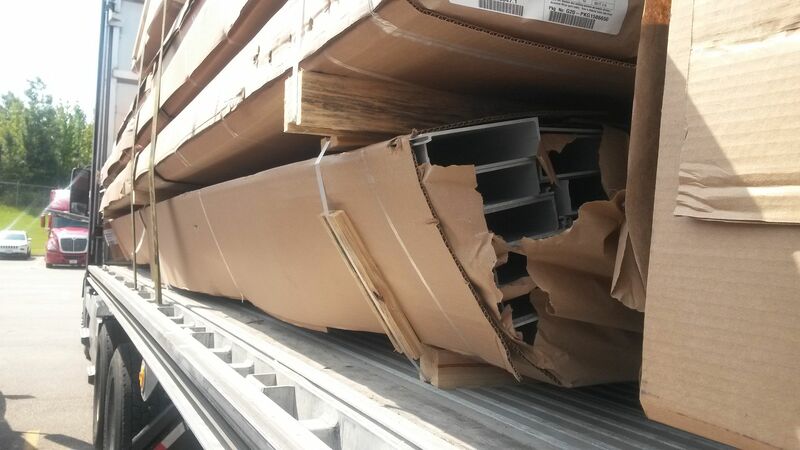 I promise you it wasn't ten minutes that went by when I get a message that says, "Hey, how do you feel about shuttling a damaged trailer from that customer over to a repair facility in Ohio? 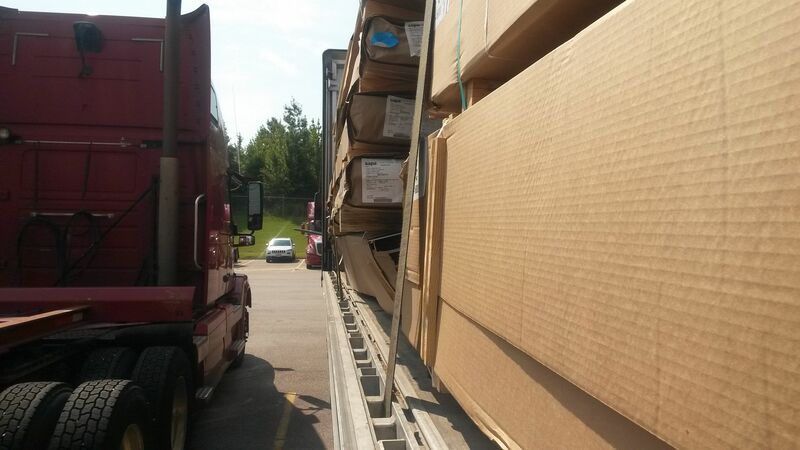 It is an 850 mile round trip, and you can bob-tail back to the customer after dropping the trailer." Bingo! I just effectively turned what was going to be about 125 bucks of detention pay into 425 dollars of real truck driving pay! It is going to be another great week after all. It was easy, it was stress free, it was extremely effective. Always keep your dispatcher informed of your ETA's (estimated time of arrival) and your PTA's (projected time of availability). These are really effective tools at your disposal - they help your dispatcher keep you busy. All these major carriers have what it takes to keep you busy, their is no lack of freight. What their does seem to be is a disparity of communication when you compare the steps taken by successful drivers and average knuckle-heads out here who are constantly griping about how they are treated by this industry. Be respectful to your dispatcher, he really does want to keep you busy. Communicate effectively with him so that he has the tools to work with for your benefit. Most of them get paid production bonuses, and that is why they love the types of drivers who do the things I just laid out for you in this scenario. He was thrilled that I not only wanted to do more, but was capable of taking the steps that enable him to give me more to do. Drivers and dispatchers are a working team, we are not "Us against Them." Here's an additional and amusing bit of information on this same subject. The guy who was complaining about C.R. England got some responses from someone who used to be a driver for Knight Transportation. That driver kept on referring to how he couldn't get the needed miles at Knight, so now he was with a "much better" company. It is a typical example of what I am trying to illustrate here. We need to focus on ourselves, and how we manage the maze of what it takes to succeed out here. I am with Knight, and if I could possibly run more than my average of about 3,200 - 3,400 miles per week they would be doing what they could to help me get there!